The project was created in direct response to the Syrian refugee crisis. 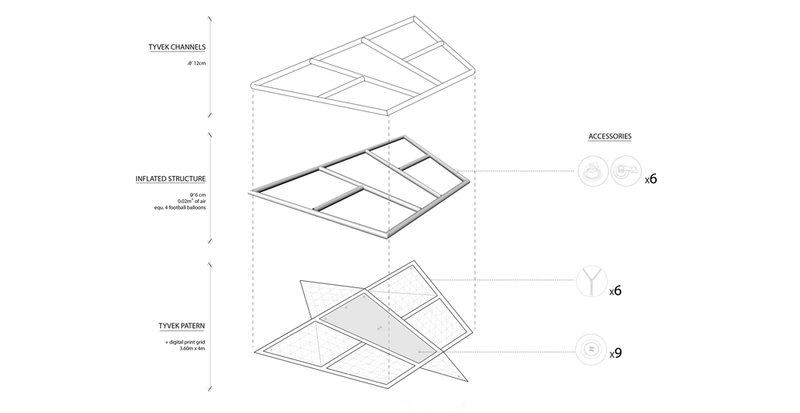 This project is a wearable shelter for people in need of a temporary dwelling. The design has three functions: it can be worn as a jacket, when laid out it forms a sleeping bag and can also turn into a blow up tent. 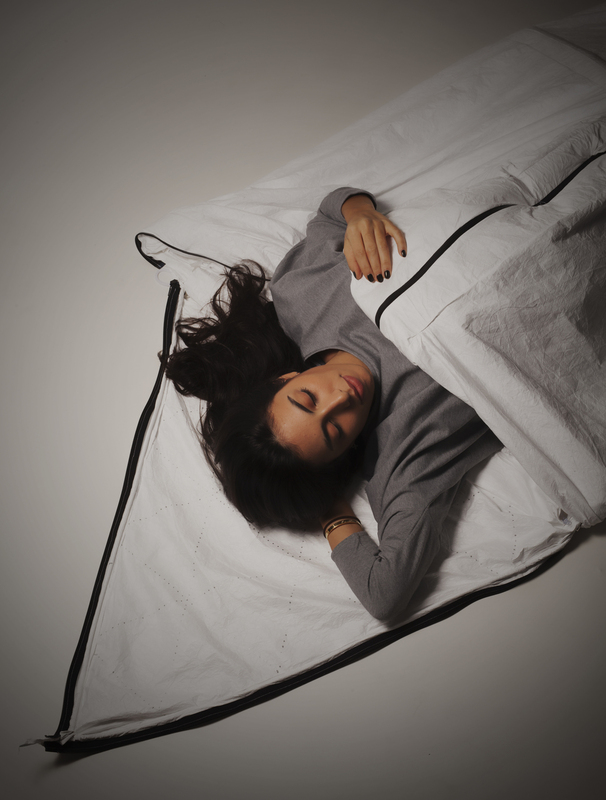 The sleeping bag : The product is made out of Tyvek® – a strong, breathable, lightweight and waterproof material – and is insulated, with Mylar® – a type of polyester used for insulation in houses as well as in spacesuits and emergency blankets. The tent : Working with an internal inflated circuit, and two parts that to be zipped together, the tent is holding up through tension. Typically, there’s room for one person, but since it’s zip all around you can connect several units to build a bigger tent or create connected 'pods'. The product fit into an A4 format package in which instructions are included. The proposal was informed by input from Médecins Sans Frontières and Red Cross who provided insight into the challenges faced by refugees fleeing conflict in Syria.